The Regal GS is as close as we'll come to a modern-day GNX--so if you're jonesing for a sporty sedan with a Buick badge, skip the mid-line turbo and go for the full 270 horsepower. A new GS flavor rounds out the 2012 Buick Regal menu, and leaves an even sweeter taste in our mouths. When Buick restored the Regal nameplate to its lineup last year, it probably threw traditional sedan shoppers for a loop. Looking for something big, rear-driven, and powered by an eight-cylinder engine--or even a V-6? Not this time. 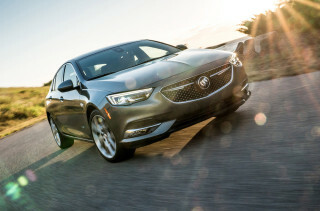 The latest Buick Regal is front-drive, and gets its power and finesse from knockout styling, a Euro-sized package and handling, and a lineup of three four-cylinder engines, two of them turbocharged. It's a Buick in the new idiom, and a good complement to the lovely LaCrosse and the compact, upcoming Verano, and the 2012 Regal gets even better with the addition of the GS model. The Regal's essentially our version of GM's global mid-sizer, sold in Europe as an Opel Insignia. It's a dynamic shape, with an optical hook stamped into its side flanks and a petite interpretation of Buick's waterfall grille applied to the nose to let you know it's still a domestic sedan. The interior's modern GM, not old GM, too, with a big shield of controls and a trio of finishes that dress up a soberly styled cockpit. Those four-cylinder engines displace the old V-8s and V-6s from the Regal family, though they don't displace much at all, in the grand scheme. The basic 182-horsepower, 2.4-liter four puts the emphasis on "basic," but the 220-hp turbo four and especially, the 270-hp GS four, have the punchy, immediate feel of other front-drivers in the class. The Saab 9-3 comes to mind, and in fact, it's a distant relative of the Buick. The Regal has Euro-feel baked into its ride and handling, too, with the muted damping of a good German sedan (hint: that's where it was developed), and reasonably good steering feel in turbo cars. The GS' three-mode adjustable driving feel pushes the performance envelope to a pleasing level, but one shy of true sports sedans like the BMW 3-Series. Later this year, Buick will add an eAssist model to the Regal lineup. With some mild-hybrid technology, this Regal will top out at 36 mpg highway--not astonishing given the Hyundai Sonata's standard-issue 35-mpg rating, but in the zone with the Lincoln MKZ hybrid. The Regal's tidy shape doesn't endow it with the vast interior room you'll find in a VW Passat or a Hyundai Sonata, but it's only in the back seat where it can be an issue with adult passengers. The trunk's a bit small, too. As for safety, Buick's earned a Top Safety Pick with the Regal, but a rearview camera and blind-spot monitors aren't yet in its tech goodie bag. 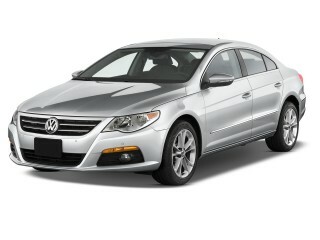 With its premium price and its class-average space and gas mileage, the 2012 Regal doesn't shine on a spec sheet. In person, it's insistently handsome, and in GS trim it's truly entertaining--and that's an entirely new place in the world for Buick, though it's also a place that could take some time for value-minded buyers to find. The 2012 Buick Regal's dramatic, enthusiastic styling resets the “wow” factor for premium family sedans. The 2012 Buick Regal is one sleekly sculpted sedan, with an international look that plays just as well on this continent as it does over in Europe, where it's sold as an Opel. Between the details stamped into its door panels and the Buick waterfall grille pouring over its front end, we think the Regal may be the best-looking family sedan GM builds. The Nike-like swoosh down its flanks gives it great visual drama. The rear quarters pick up some influences from cars like the Infiniti G37, what with the stubby decklid and big 18-inch wheels. The dynamic shape isn't related at all to Buick's outgoing cars, but connects well with the bigger LaCrosse and the upcoming Verano, giving the lineup a real sense of family style that's visually distinctive, and a knockout. 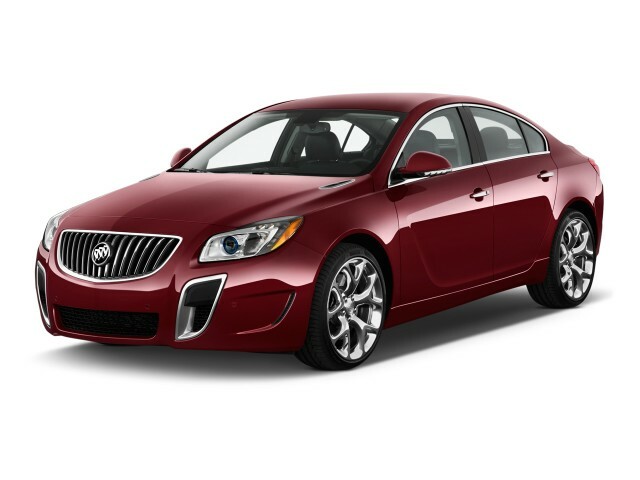 With the new 2012 Regal GS, this Buick crosses the line into truly sporty sedan territory. It has better handling than anything bearing the same badge, ever, and the 2012 Buick Regal now has the attention of enthusiasts with the new GS model introduced this year. None of the Regal sedans offers a V-8, or even a V-6 engine, but the turbocharged four-cylinder in uplevel models is a welcome blast of boost from the Regal's base 2.4-liter, 182-horsepower four. It’s just adequate for smoothness and acceleration. Direct injection brings better fuel economy with it, but this Regal seems a little overwhelmed on anything other than flat surfaces, with just a driver aboard. It's only offered with a six-speed automatic, which does have a driver-control mode for hanging around in lower gears when you need. 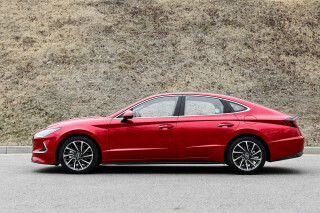 Fuel economy is EPA-rated at 19/31 mpg, a notable step down in a class that includes the 35-mpg Hyundai Sonata, and even the base 33-mpg four-cylinder automatic Ford Fusion. 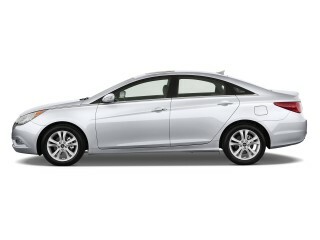 The mid-level Regal has a different powertrain, a turbocharged 2.0-liter four-cylinder with 220 hp. The powerband’s much meatier and friendlier here, and it can spin tires and engage sport mode in more drivers--particularly since it's offered with a well-sorted-out manual transmission, and even the automatic comes with paddle controls for sport shifting. It’s fairly quiet on the move, and eager once you get into the thick part of the powerband. Still, the output on paper pales next to the 270-plus-horsepower posted by the Kia Optima and Hyundai Sonata turbo models. New for this year is the Regal GS, which hits those horsepower bogeys and leads the charge for sporty Buicks today and tomorrow. In this state of tune, the turbo four exhales 270 horsepower, through either the six-speed manual or automatic. All-wheel drive isn't offered, but the Regal's tuned to dial out torque steer while it dials up 0-60 mph performance of well under 7.0 seconds. Its Euro-engineered suspension gives the Regal better handling than most of the Asian competition, and brings it into the realm of the Fusion and more expensive iron like the nimble Acura TSX--especially in GS trim. With struts in front and a multi-link rear end, the Regal has a muted but responsive feel, with a well-damped ride. Base cars now have electric power steering; the hydraulic system in the turbocharged Regals isn't particularly hefty, but it's blessed with good progressive feel. Big disc brakes have a reassuring bite, too. The Regal GS and the lesser turbo models also have an option for adjustable suspension, throttle and steering response dubbed Interactive Drive Control System. The setup provides three driving modes, with the distinction being that the base setup in the Regal GS roughly lines up with the "touring" setting in the 220-hp turbo car. With the GS, there's also a Sport and a GS mode, which progressively tighten up the handling to a level just shy of the true sports sedans from BMW. The selectable settings in the GS make a meaningful difference that lets drivers filter out harshness in more pedestrian use, and tighten up reflexes for a favorite set of curves. Given the choice, we'd leave IDCS off the mid-level car for better value, and enjoy it immensely in the GS, where it's standard equipment. The 2012 Buick Regal has a little less interior space than plainer family sedans, but it's on par with its premium competition. As one of the true mid-size sedans on the market, the 2012 Buick Regal splits the difference between smaller compacts like the Volkswagen Jetta and even the brand's own upcoming Verano, and larger sedans like the Honda Accord and Hyundai Sonata. 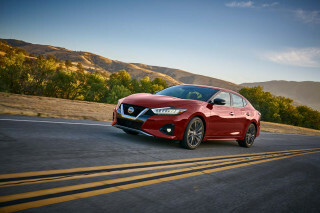 It's in a niche with similar four-doors like the Nissan Maxima and Acura TSX, which means some shoppers will find the rear seat accommodations and the trunk a bit small. The Regal's front seats give the driver and passenger enough room to feel comfortable without being constrained. The leather-topped driver seat is a great place to work the Regal's controls, and power tilt and rake can dial out the bottom cushion's flatness. There's a bit less head room and leg room than in the big four-door family sedans, though, which means you'll sit a little closer to the available sunroof, with less room to back the front seats up before cutting into rear-seat space. The back seat is relatively spacious, and rated for three passengers, even though two adults are the most you'll want to put back there. Leg room is similar to that in the Honda Accord, but something about the cushioning in the Regal makes the back seat seem less spacious--while it's still about three inches more generous than the same space in the Acura TSX. For sure, the roofline meets more heads than in taller sedans, but it's comparable to truly large four-doors like the VW Passat in that respect. Cargo capacity isn't the Regal's strongest suit. With just 14.3 cubic feet of trunk room, it's about 3 or 4 cubic feet smaller than other sedans, and a piece of luggage less than the enormous 20-cubic-foot trunk in the Ford Taurus. The 2012 Buick Regal has earned some high safety scores, but the NHTSA hasn't checked in yet with its final report. The Buick Regal has been crashed by at least one testing agency, and based on its score and its array of standard safety equipment, we're assigning a rating of 9 here, pending more data. 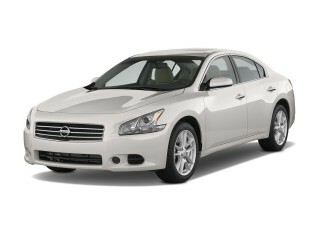 The 2012 Regal earns the best rating possible from the Insurance Institute for Highway Safety (IIHS). The IIHS gives the Regal its "Top Safety Pick" award. However, the National Highway Traffic Safety Administration (NHTSA) hasn't yet passed judgement on the Regal, because it's a new model and because the agency recently revised its testing procedures. The newest Buick has a great list of safety features, standard and available, though we'd still like to see more of them. Standard dual front, side and curtain airbags are paired with anti-lock brakes, as well as traction and stability control. GM’s OnStar system also is standard, as are tire pressure monitors. Rear side airbags are available on turbo models as well. These supplementary airbags are more common in European cars like the VW Passat, to boost side-impact safety, though less common in domestic cars. The Regal doesn’t have much of a problem with visibility, but we'd still like to see GM upgrade its offerings to include a rearview camera and blind-spot monitors. Uplevel Regals do have rear parking sensors, and the new GS model will be offered with front sensors as well. With its new touchscreen navigation option, the 2012 Buick Regal fixes the only big bug in its features list. Buick wants shoppers to see the 2012 Regal as a premium choice in its size class, so it supplies a lot of standard equipment in each model. Every Regal includes standard power features; air conditioning; an AM/FM/XM audio system with a flash drive for music on the go; a USB port; Bluetooth; leather front seats and steering wheel; heated front seats; and on the way, Buick IntelliLink, which connects smartphones to the car's systems and allows drivers to use apps like Pandora on the go. Options on the base model include pushbutton start; rear parking sensors; a power passenger front seat; a Harmon Kardon surround-sound system; rear side airbags; and a garage remote. Turbo Regals include this equipment, and offer the adjustable Interactive Drive Control System as an option, along with 19-inch wheels. On top of this, the Regal GS has standard IDCS and its own 19-inch wheels; 20-inch wheels and summer tires are an option, as is a sunroof. Buick's new navigation system, an option on the Regal, eliminates our biggest complaint with last year's model. The old knob-driven controls are still there, but the display is now a touchscreen, which makes entry of destinations much easier. All told, a Regal GS can push the sedan's base price from the $27,000 range up to nearly $40,000. That's in line with competition like the Acura TSX, Volvo S60 and Lincoln MKZ, but a noticeable jump from less luxurious family four-doors. Four-cylinder models get decent, but not class-leading, fuel economy--but the 2012 Buick Regal eAssist equals some hybrid sedans for gas mileage. Gas mileage in the 2012 Buick Regal isn't quite as good as some of the class leaders, but it's still a big improvement over the last generation of mid-size family sedans. 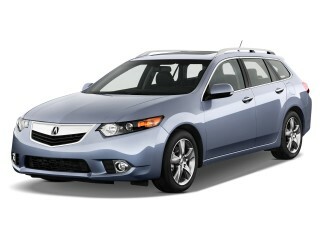 The base Regal, with four-cylinder engine and automatic transmission, is rated by the EPA at 19/31 mpg. It's a bit shy of the standard set by cars like the Ford Fusion, at 33 mpg highway, or the Hyundai Sonata and similar Kia Optima, at 35 mpg highway. Opt into a turbocharged Regal, and mileage actually goes up, since a manual transmission is offered. That six-speed manual Regal earns a 20/32 mpg rating, with the automatic checking in at 18/29 mpg. The Regal GS, with its additional power, is a bit lower, at 19/27 mpg for the manual-shift model (automatic versions are coming, but haven't yet been rated). The big news for fuel economy is with the eAssist model coming later this model year. With lithium-ion batteries and electric motors, it has some of the components of a hybrid, and it's classified by the EPA as a hybrid -- but GM prefers to dial down the "hybrid" for its marketing, since eAssist is a bit more limited than full hybrid vehicles. The Regal's variation on hybrid technology uses batteries and motors to boost acceleration under heavy acceleration, and to run accessories such as air conditioning, but the Regal can't run on electric power alone. The eAssist is rated at 25/36 mpg. That's not much higher than the base Sonata and Optima, and can't rival their 40-mpg highway ratings--or that of the 43-mpg diesel VW Passat. But eAssist does put the Regal on even keel with vehicles like the Lincoln MKZ Hybrid and the Lexus HS 250, while still pricing in at less than $30,000.